First go to "Help" from the yellow bar and click on the "User Prefs" link at the top of the page. From there, click on "Site Preferences" and at the very bottom is the option to change your sidebar. There are some other nifty options here as well! Oops no, they must have been skipped when we set that up. I have fixed it now so you should see them under Petpets. At the moment no. Mr Insane is currently working on the long-awaited Tyrannian Land War which should be released in a couple of months. After that, who knows, ther could be NeoQuest III if we talk to him nicely I guess. If you delete your own account, you are in effect freezing your account. Just incase you may want to come back in the future, they are still stored exactly as they were on the day you deleted your account. In order to have your account returned, you will need to write in to our support staff using the proper form on the contact us page. Be expected to provide a lot of information though so we can verify you're the real owner! Hmm... That is interesting. Maybe this is something we would do in the next war. Also, to change things up a little you will not be given the option to choose sides in the next war, you will all unite and fight together! This is something we are currently discussing internally. At the moment, no you cannot. In the near future you may find that you cannot set a price higher than 99,999 NP for an item and any items set at this price will be buyable. If we do this, or something simliar, we will give you plenty of notice and we will set any items priced above 99,999 NP to a price of 0 so they are no longer listed for sale. 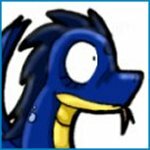 At the moment we have no plans to change any of the limited or restricted Neopets to general release. This does not completely rule the chance out, if you recall Ixis were originally limited edition. It just isn't going to happen any time soon. Yes, Kadoaties are on sale in the normal Petpet shop. The search bar only shows things that are lower rarity. As Kadoaties are rarity 99, they are too rare to be listed in the search results. Sorry, we can't tell you. If we revealed all our secrets it would take away the fun. We have not forgotten, it should be released on the 24th of this month, so not long now! We already have a gallery for poems, if you want to enter your poem, click here. Yes, there are lots and lots, some of which are still being made. Keep checking back and you may get a little surprise when they are all completed. Anthoneisha looked up from her glass of chocolate milk, which she had been staring at intensely for no particular reason other than complete boredom. "You can't adopt a Chomby, you already have four pets," she said logically.